Below is a catalogue of non-musical-theatre productions for which I have written the music. For a full list of credits please see my CV page. The premiere production of this recently rediscovered play. I provided pre-recorded scene-change music featuring voice, piano and accordion. by Ben Jonson. An RSC production at the Swan Theatre, Stratford-upon-Avon, directed by Trevor Nunn, Henry Goodman as Volpone. Link to RSC trailer. Set in the present day, the action taking place below a large video installation of stock market feeds. The music included several songs which were an eclectic mixture of rap, music-hall, and a cheesy seduction ballad. Some music was pre-recorded on Logic Pro, but there was also a live four-piece band (keyboards, guitars, trumpet, percussion). by William Shakespeare. 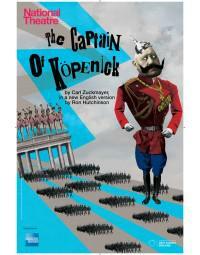 Co-production by Nottingham Playhouse and York Theatre Royal. Loveday Ingram directed. Prerecorded music (electronics and whistles) with some live drumming on-stage. Also, a full-company coronation anthem. by Carl Zuckmayer in a version by Ron Hutchinson. Directed by Adrian Noble at the National Theatre (Olivier) with Antony Sher as Voigt. Set in 1910 Berlin. The live music was played on-stage throughout by a five-piece brass/percussion ensemble – a combination of original music and arrangements of tunes from the period. I also researched and selected existing recorded music which formed part of the soundtrack. by James Goldman. 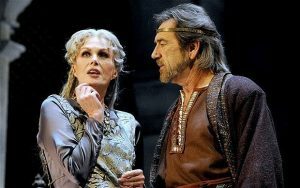 Starring Robert Lindsay and Joanna Lumley and directed by Trevor Nunn as part of his season at the Theatre Royal, Haymarket. Set in 1183! Music a combination of researched existing recorded material and specially recorded cues (percussion, rebec, shawms and whistles over an electronic base) with a folky/Christmassy twist – the brief was to create a witty almost-send-up of the medieval. by Tom Stoppard. Directed at the Chichester Festival Theatre by Trevor Nunn, subsequently transferring to the West End as part of his Haymarket season. Folky, Eastern European-flavoured music performed largely by a group of actor-musicians on-stage; also a specially-recorded score with harpsichord, whistles and percussion, and elsewhere fusing medieval vocals with trance-like electronica. by Rachel Wagstaff (from the novel by Sebastian Faulks). Directed by Trevor Nunn at the Comedy Theatre. Set in 1910-1918 and 1978. A specially-recorded score of mainly piano music (some sourced, some original) together with some live on-stage piano and singing, and selected existing recorded material from the period. by Edmund Rostand translated by Anthony Burgess. Directed by Trevor Nunn at the Chichester Festival Theatre. I wrote a score with violin, pipes, guitar and percussion over an electronic/harpsichord base. I also researched and selected existing recorded music. by Philip Barry. Directed at the Old Vic by Jerry Zaks. Recorded incidental music in a swing style (violin, guitar, piano). by William Shakespeare. An RSC production at the Courtyard Theatre, Stratford-upon-Avon, subsequently going on a world tour and finishing in the West End at the New London Theatre. 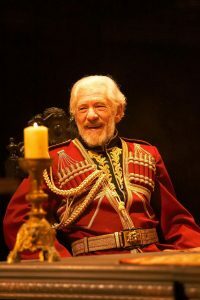 Directed by Trevor Nunn, with Ian McKellen as Lear. The music was largely played live by a four-piece band (keyboards/accordion/violin, woodwind, trumpet/keyboards, percussion/dulcimer), although the show opened with a blast of a recorded Jean Françaix organ piece. A film version of this production was made the following year, for which I re-jigged the score and wrote some additional cues. by Anton Chekhov. Directed by Trevor Nunn. Played in rep with King Lear (see above) at all the same venues. Music, which was mostly curtain and scene-change music, was provided live by the same four-piece band. The production also featured a choral Russian song which the actors pre-recorded. by Peter Shaffer. Directed by Trevor Nunn at the NT’s Olivier Theatre. This production recalled and acknowledged the original 1960s production of the play by the National Theatre (then based at the Old Vic). Accordingly the music was strongly based on Marc Wilkinson’s ground-breaking original. I had the chance to work with Marc on this new production – I added in some additional cues and re-worked the score for three on-stage percussionists and an ethnic-flute player, together with an offstage keyboard. by Peter Flannery. An Oxford Stage Company production at the Tricycle Theatre, directed by Sean Holmes. A specially-recorded score featuring cello and piano. Some moody cues, some nods to British light music of the 1950s – and a very silly song. by William Wycherley. 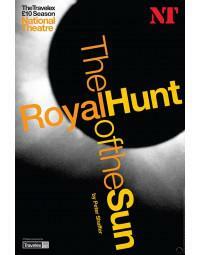 Directed by Jonathan Kent at the Theatre Royal, Haymarket. The setting and costumes mixed the 17th century with the present day, and the brief for the music was to follow suit. Accordingly the score, which was specially recorded, featured flute, oboe, harpsichord and baritone sax and was in part based on Cyndi Lauper’s “Girls Just Want to Have Fun”! by William Shakespeare. 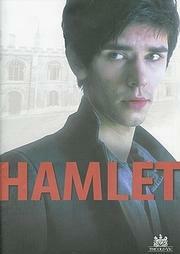 Directed by Trevor Nunn at the Old Vic, with Ben Whishaw as Hamlet. To complement this modern production with a notably young cast, the studio-created music was contemporary in feel, mixing moody Nordic electronica with some trippy beats. by William Shakespeare. Directed by Trevor Nunn at the NT’s Olivier Theatre. The play was set in 1913, and the music strove to reflect this with a lush, very English, period feel (notwithstanding the cod Russian bits). Much of the incidental music was influenced by the rich pastoral harmonies of John Ireland and Ralph Vaughan Williams, and by the sounds of change-ringing in country church towers. An unusual feature of the music for this production was that in addition to the two scripted songs (Concolinel and When Daisies Pied) we presented the three suitors’ love sonnets (Act IV Sc3) as songs also – each in a ‘popular song’ form true to the period (Parlour Song for the King, Ragtime for Longaville, and Music Hall for Dumaine). by Tom Stoppard. Directed by Trevor Nunn at the NT’s Olivier Theatre. A huge project comprising three full-length, linked, plays charting the lives of the political philosopher Alexander Herzen and his contemporaries. The setting covered the central third of the nineteenth century and a host of European locations from Moscow to London. The plays could be seen singly, or, on certain days, all in one theatrical marathon. The music was played live by a versatile six-piece band covering keyboards, accordion, percussion, guitars, balalaika, violin, cello, and various woodwinds. After the production we recorded and released a CD of the music. Not About Nightingales by Tennessee Williams. 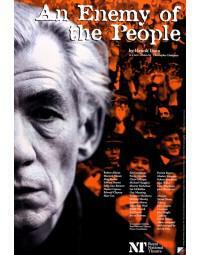 Directed by Trevor Nunn at the NT (Cottesloe), subsequently at the Alley Theatre, Houston, and Circle in the Square, NY. This show garnered a lot of attention as the text of this early Tennessee Williams play had only recently been rediscovered, and it was therefore considered a premiere production. The music had an oppressive, creepy jazz character and was played by a trio of piano, bass and alto sax. The score was nominated for a Drama Desk award in the “Outstanding Music in a Play” category. The Relapse by John Vanbrugh. Directed by Trevor Nunn at the NT (Olivier). 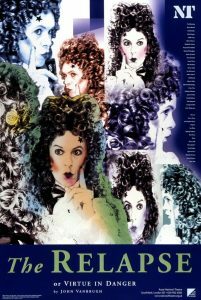 A lavish production of the Restoration comedy. Plenty of music here – singing, dancing and not least a full masque at the end of the play. The music was played by a live five-piece band: keyboard (harpsichord), violin, oboe/bagpipes, bassoon and trumpet/cornetto/nakers. For the pre-show music I researched and re-discovered the ‘Act Musick’ written by Daniel Purcell for the first revival of this play in 1707, and these pieces were incorporated into our pre-show, their first airing in nearly 300 years. (No-one was really aware of this, but it made me quite excited). 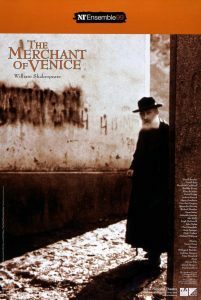 The Merchant of Venice by William Shakespeare. Directed by Trevor Nunn at the NT (Cottesloe, later in the Olivier). Set in a fictional between-the-wars Venice heavy with Weimar flavours, this play required music to match. We borrowed a genuine tune of the era, ‘Morphium’ by Mischa Spoliansky, to form an element of the score. Nerissa’s song was a faux Schubertian ballad. The music was played by a trio of piano, violin and percussion. Subsequently the production was filmed as part of the Masterpiece Classic series. I reworked the music and we added a fourth player (bass sax/clarinet). Audio samples below are from the filmed version. Albert Speer by David Edgar. Directed by Trevor Nunn at the NT (Lyttelton). The music for this piece was a combination of composed incidental music (some of which slightly influenced by Messiaen’s Quatuor pour la fin du temps), and researched recorded music from the period. The composed items were played by an offstage band of piano, flute/clarinet, violin and cello. 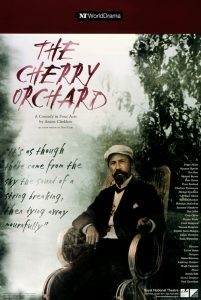 The Cherry Orchard by Anton Chekhov. Directed by Trevor Nunn in the Cottesloe Theatre (NT), with Vanessa Redgrave as Lyubov Ranevskaya and Corin Redgrave as Leonid Gayev. Incidental music (and music for the party in Act III) played live by a three-piece band (accordion, violin, clarinet). An Enemy of the People by Henrik Ibsen. Directed by Trevor Nunn at the NT (Olivier). The production subsequently played at the Ahmanson Theatre in Los Angeles. The music for this play was played live by a six-piece brass and percussion band, from both on-stage and off-stage positions. Romeo and Juliet by William Shakespeare. Directed by Guy Retallack at the Pleasance Theatre (and thereafter on international tour). The production was set in mediaeval Ireland, so an ethereal folky sounding score was fitting. The music, which was pre-recorded, featured violin, percussion, whistles and uilleann pipes. Measure for Measure by William Shakespeare. Directed by Trevor Nunn at the RSC (The Other Place), Young Vic and UK tour. Set in early 20th century Vienna. Music played live by a six-piece band. The starting point for much of the music lay in Arnold Schoenberg’s arrangements of Johann Strauss waltzes, whereas Mariana’s song owed more to Austrian folksong.